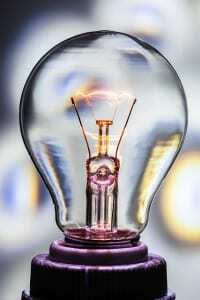 Do you have more ideas than you know what to do with? Learn practical strategies for creating and maintaining an "idea bank" and for implementing ideas using OmniFocus. Do you find that great ideas are constantly coming to you, and that you don’t always know what to do with this fountain of inspiration? Without a systematic way to deal with this intellectual deluge, these ideas can occur as a source of stress and overwhelm rather than valuable insights that help inform future activities. This session focuses on best practices for capturing, reviewing and taking action on these ideas. We’ll look at what role OmniFocus plays in this process and will explore some complementary apps you can use to store and evolve your ideas. Best practices for capturing, processing, organizing and reviewing ideas for personal, business and community projects. Best practices and pitfalls to avoid when bringing ideas to fruition. Using OmniFocus to help ensure that ideas are processed, organized and reviewed regularly. Using OmniFocus to take both simple and complex ideas from concept to creation. Creating and structuring an "idea bank" using apps such as Notes, Evernote and Trello. Using Day One (for Mac and iOS) to capture and retrieve ideas. Using Drafts for iOS to capture ideas on iPhones and iPads. Using Custom Actions in Drafts for iOS to quickly and conveniently file and tag ideas in Evernote and Trello. Capturing ideas into Evernote and Trello using any email app. 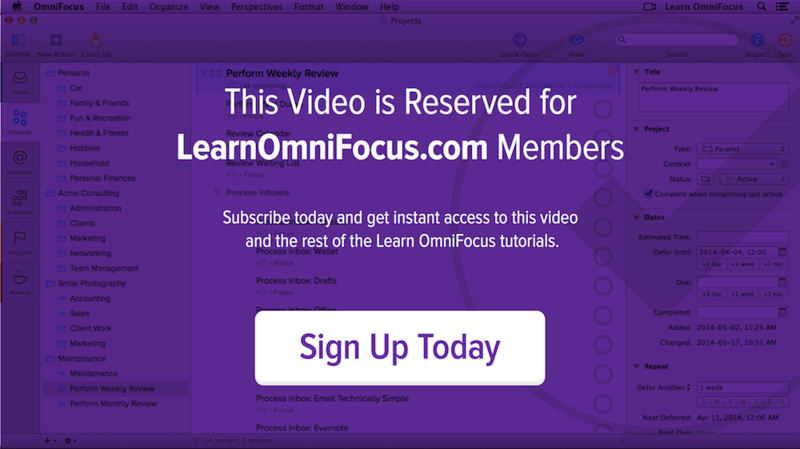 Some of the concepts and techniques demonstrated in this session are covered in more detail in other sessions and videos on Learn OmniFocus. See the Additional Content section for more information. Using OmniFocus in a Team Setting — OmniFocus is a personal task manager. But, what if you're working on projects that involve a team of people? Watch the recording of the 2015-09-10 session to learn more. OmniFocus Workflows with Joe Buhlig — Learn Joe Buhlig's approach to designing and maintaining an OmniFocus system that is simple, relevant and convenient. Joe also presents some workflows for storing ideas within OmniFocus. Watch the recording of the 2015-11-05 session to get a good taste of Joe's recommended best practices and workflows. Also, consider purchasing a copy of Joe's Book, Working with OmniFocus. Integrating OmniFocus and Evernote on Mac & iOS — Keep your OmniFocus database clean and action-orientated by storing your ideas and project support material in Evernote. Watch this video tutorial and learn techniques for integrating OmniFocus and Evernote on both Mac and iOS.